At TSR we aim to challenge, improve and develop cricketers of all ages and abilities in a variety of different coaching programmes. 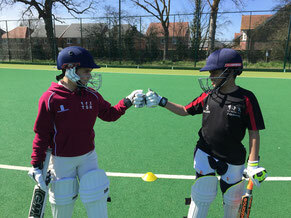 TSR have been coaching young cricketers in Warwickshire and Worcestershire for over 6 years and have a track record of players going on to play district and county youth cricket. TSR run Holiday courses, master classes, 1:1 and academy coaching. During the winter, the sessions take place indoors at venues in Warwickshire and Birmingham. During the summer, the excellent facilities at various clubs in Warwickshire and Worcestershire e.g. 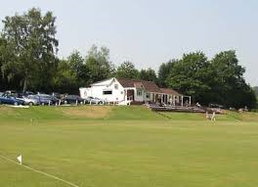 Barnt Green and Bromsgrove Cricket Club's are utilised. If your club is a little thin on the ground with coaches or you have not got the human resources to look after the youth section, TSR are also able to assist by way of providing coaches or by running the youth section on behalf of the club. However, if you have a healthy number of eager coaches, many of which are newly qualified or need a refresher, TSR can run a Coaches Refresher Evening covering areas such as video analysis, practical solutions to common problems, working with a team. If TSR can help you, please contact one of the Cricket Development Managers. TSR have assisted Birmingham League Club, Bromsgrove, with their youth section for the last 5 years by way of skill sets and hardball coaching during the winter as well as holiday courses in the summer. Courses have taken place at Bromsgrove Cricket Club during the summer and all of the courses, which have included Batting, bowling and fielding masterclasses, have been oversubscribed. 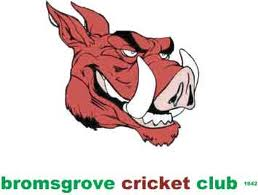 TSR have also delivered many 1:1 sessions for young players at Bromsgrove CC which has helped them to not only perform at club level but also progress on to Worcestershire district and county level. Bromsgrove Club Captain, Mark Evenson, commented that "it has been an excellent working relationship with TSR and not only have our young players benefitted from the coaching sessions, they have also had great fun". TSR Supported Barnt Green CC in the summer with their youth coaching programme from under 7 through to under 15’s. Level III coaches attended the sessions to not only coach the young players but also to mentor the highly motivated club coaches to ensure their coaching skills were at the cutting edge. Following this successful venture TSR are again working with the Birmingham League Premier Club's best young players in the newly formed Barnt Green Cricket Academy. Colin Banton, Barnt Greens Youth Chairman, said ‘ it has been fantastic having TSR working with our young players during the summer and winter. The coaching they have brought to the club has been well organised, challenging and fun’.